Custom printed 3.875 x 3.875 x 0.96875 adhesive note cubes 1 color, 1 design adds conviction to your campaign and makes your brand information convincible. Customized adhesive note cubes make a great desktop accessory and people are going to notice them, whenever they approach the table. This type of regular visibility works wonders over brain and people start reciprocating in a befitting way by availing your services or buying it from you. 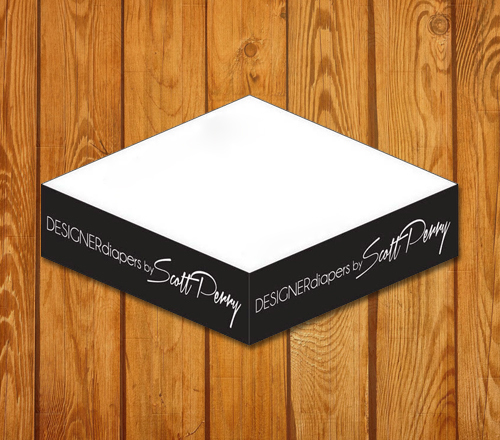 Save on art setup, online design, bulk orders, and avail lowest price match guarantee by ordering these sticky personalized note cubes. Request a quote to know bulk order savings for these personalized 3.875 x 3.875 x 0.96875 adhesive note cubes 1 colors, 1 designs. * Price includes 1 standard color screen printed SPOT and 1 side design.